INMOCO makes available a new motor control integrated circuit that provides ultra-smooth, quiet motor operation, with advanced current control and safety features specifically for stepper motors. 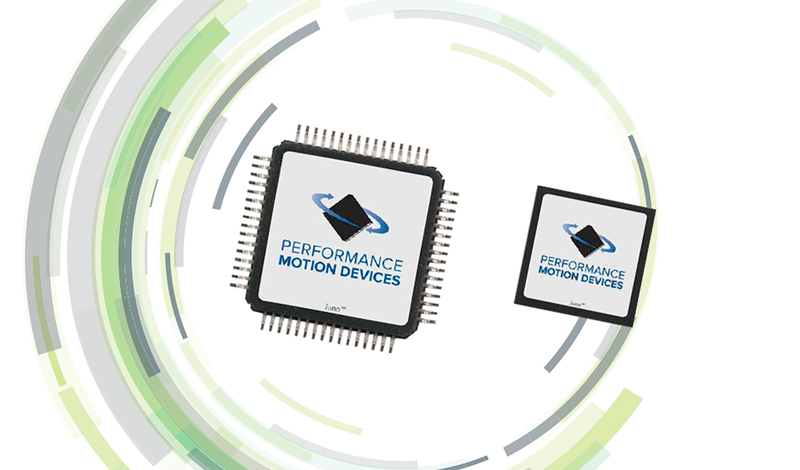 The latest addition to the Juno® Velocity and Torque IC family from Performance Motion Devices, Inc. (PMD Corp.), the new Step Motor Control ICs offer higher PWM frequencies for smoother, more dynamic operation, in a 56-pin VQFN package measuring just 7.2mm x 7.2mm. Providing an ideal solution for motor control applications with limited space, the Juno Step Motor Controller provides pulse and direction input, field-oriented control, profile generation and advanced current control. Easy to deploy with embedded motion commands and on-board intelligence, it meets all the requirements of designs that need to improve performance while minimising noise, vibration and power consumption. A key feature of the new step motor control ICs is the integrated safety functionality, including stall detection, over- and under-voltage sense, over-current detection, over-temperature and i2t current foldback. Plus NVRAM to hold motor parameters and motion traces. Coupled with compact MOSFETs, *Juno® Step Motor Control ICs can replace older step motor amplifiers and dramatically reduce the size and heat output. Typical applications include precision liquid pumping, packaging, lab automation, pick and place machines, flow rate control, XYZ tables and robots. *Juno is a registered trademark of Performance Motion Devices, Inc. Established in 1987, INMOCO now offers an extensive range of motion control equipment including: compact servo amplifiers, position controllers, stepper motors, PLC controllers, linear motors, sensors, electric actuators and gearheads. INMOCO’s product portfolio is supported by extensive applications and technical expertise, in addition to customer-specified electro-mechanical development and sub-assembly services; including calibrating and testing in a class 10,000 clean room facility.